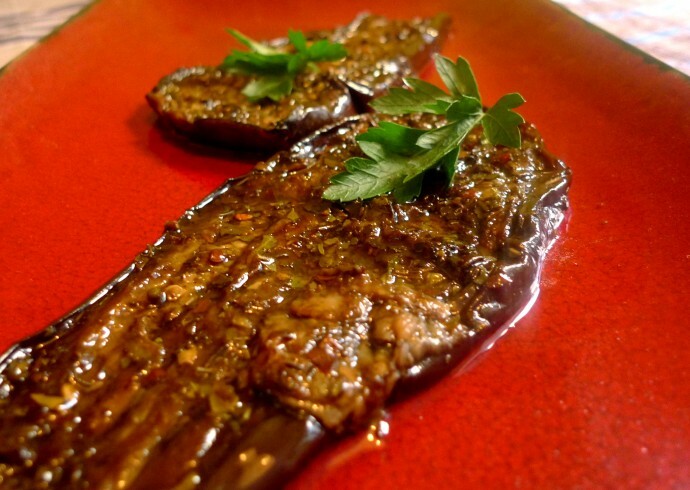 In an oven tray we place the thinly sliced eggplants adding a considerate amount of olive oil (keep in mind not to add too much so as not to fry them). Immediately afterwards, add the balsamic vinegar, garlic salt, oregano, and crushed red pepper (to taste). We will then place the eggplants in a 350 ° oven flipping them over once they are tender (not fried). Flip them over once more and add the ingredients to the other side. We will know when the eggplants are ready once we feel that they are tender. 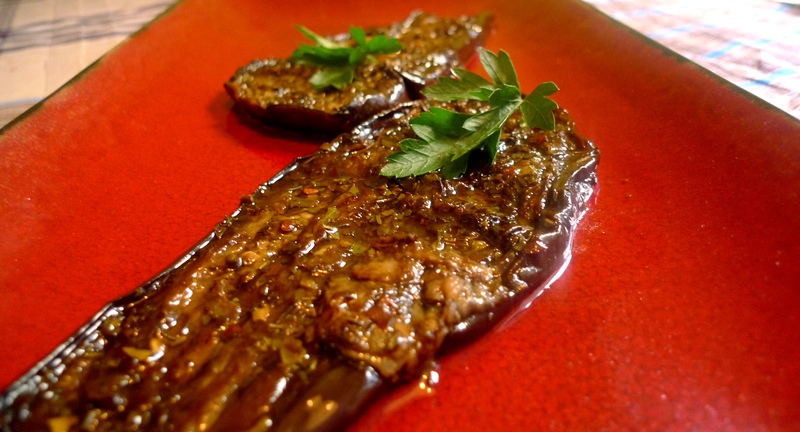 Note: It is important that the eggplants do not get fried and that they remain spongy and tender. Once the eggplants are done, we will store them in the refrigerator inside a container with the oil that remains from the baking pan. The eggplants, once in their containers, will last a long time due to the vinegar that was added before. 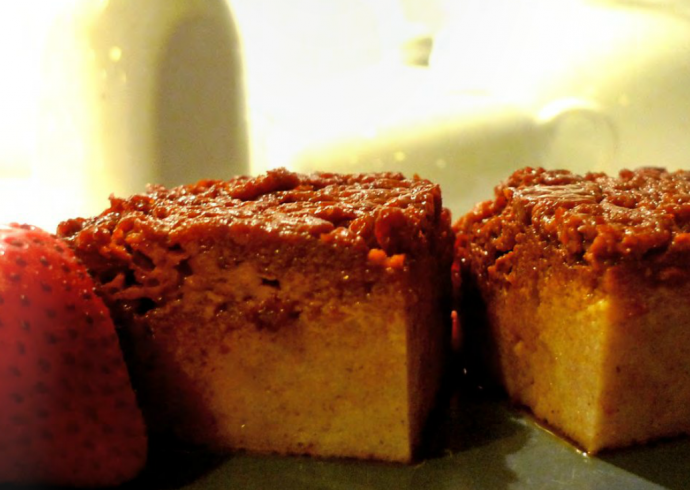 – Plain pound Cake (you can substitute with either muffins or sweet bread). We will place two cups of sugar in a small pot over low heat until it becomes a liquid substance. Quickly afterwards we will then place the mixture in a tray where we will let it cool down. In a large pot we will then place the milk, a cup of sugar, the cinnamon, and lemon peel. We will turn off the stove once we see that the mixture is to a boiling point and then strain it. In another bowl we will beat the other eggs adding the unstrained milk mixing well with the crumbled cake. Once these ingredients are well mixed, we will then place into the caramelized mold and cook in a 350 ° oven. The bread pudding should be ready in about 40 minutes. We can test this by piercing the pudding with a toothpick, knife, etc. 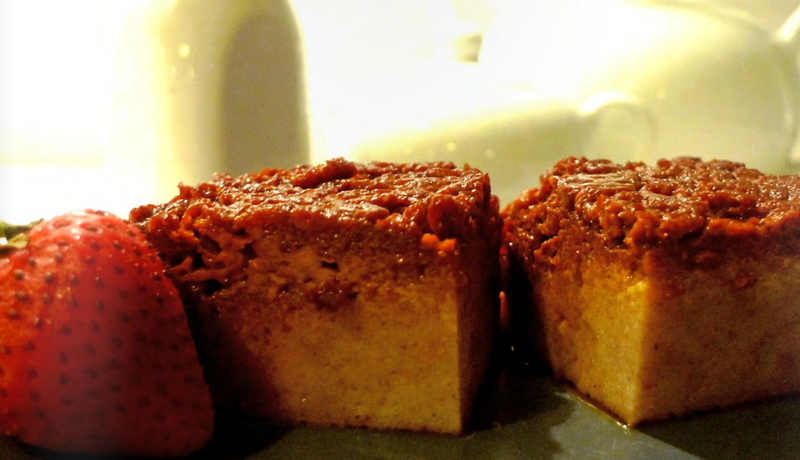 If the knife comes out dry, then the bread pudding is ready.